“Mommy, I don’t want to grow taller than you. I always want to be able to look up to you,” my tween son told me last night. I’m sure he meant that literally, but I couldn’t help but take the message as a figurative one. Can I be a mom who will always be worth looking up to? I give a lot of thought to what I can pass on to my children because I realize that I have limited time left in which their parents will be the central figures of their lives. Soon their friends will matter more, followed by girlfriends and wives. I can only hope that the seeds of what I’ve tried to plant in their hearts will take root and bloom. Optimism: There are two ways you can go through life: believing that humankind is selfish and inherently evil, or that people (for the most part) do their best with the resources they have to be cooperative and generous. The filter you choose is the one through which you will measure everything that happens to you, both good and bad. The good things will seem less good because you’ll attribute them to chance, while the bad things will seem predestined, part of life’s agenda of screwing you over. Like everyone else who exists, I’ve had some really good parts of my life and some really bad ones too. It’s a decision I make every day, but I choose to believe the universe is fundamentally good. There are so many things I could wish for my children: that they find good partners, do well in school, have fulfilling and well-paid careers, and become good parents themselves. But instead of wishing they become certain things that may or may not happen, I will try to nurture who they are right at this moment. I hope that regardless of height, they see my path as one worth taking. My brother and sister-in-law recently welcomed their first baby into the world. I am so excited for them and can’t wait to hold my niece and see the people I love in their new role as parents. Part of me envies the wonder and joy of becoming a first-time parent, while the other part thinks whew, glad I don’t have to go through that again! Naturally, a birth in the family causes people to reminisce about their own baby stories. I have two sons, but because of circumstances surrounding their births, the bonding process felt instant and natural with my first child, but came much later with the second. I had a healthy first pregnancy and delivery, and when my older son was born, he spent the entire hospital visit in the room with us. I don’t think he spent a minute in the nursery. He took to breastfeeding immediately and seemed very content from the get-go. I wasn’t nervous during my pregnancy because I felt no reason to be. Other than the typical fatigue and weepiness a new mom faces, becoming a parent was a natural transition. Halfway through my second pregnancy, I found out I had a rare condition that could cause me to suddenly hemorrhage and bleed to death. Needless to say, this put a damper on the normal joy of pregnancy. I was fortunate to have skilled medical care and a safe delivery, but nevertheless, my second son was born premature at 35 weeks. He didn’t yet have a sucking reflex and his blood sugar dropped easily, so he spent his first two weeks with a feeding tube in the NICU. We could only see him by showing identification and passing through locked doors, then scrubbing up as though preparing for a medical procedure. I couldn’t nurse him. And when I was discharged from the hospital, I had to go home, an hour away from where he was. I didn’t even see him until the day after he was born. He did not have formula because I was able to pump milk for him, but even when he came home from the hospital, he was only taking milk from a bottle. It left me in the frustrating position of having to get up in the middle of the night to use a breast pump and then feed him with a bottle. I was agitated, he was agitated, and it took us a while to get in sync. To me, breastfeeding was one of the easiest ways to feel bonded to my babies, so I was relieved when, a month later, he finally got the hang of it. I think the major bonding experience for me and my younger son did not come until last year, when he was seven years old and spent three days in the hospital for a severe asthma attack. He endured needle sticks day and night, all kinds of pulmonary testing and chest x-rays, and an entire night in the ER. It was just the two of us (and many medical personnel) for three days together in the ambulance, the ER, and a hospital room. I gained so much pride and appreciation to see how my son handled himself under duress. I will never know how he felt in the hospital as a newborn because obviously he couldn’t tell me then and he doesn’t remember it now. His more recent hospital stay felt like our better-late-than-never bonding experience because I was fully focused on nothing but him and we spent the days and nights together that we should have shared when he was first born. 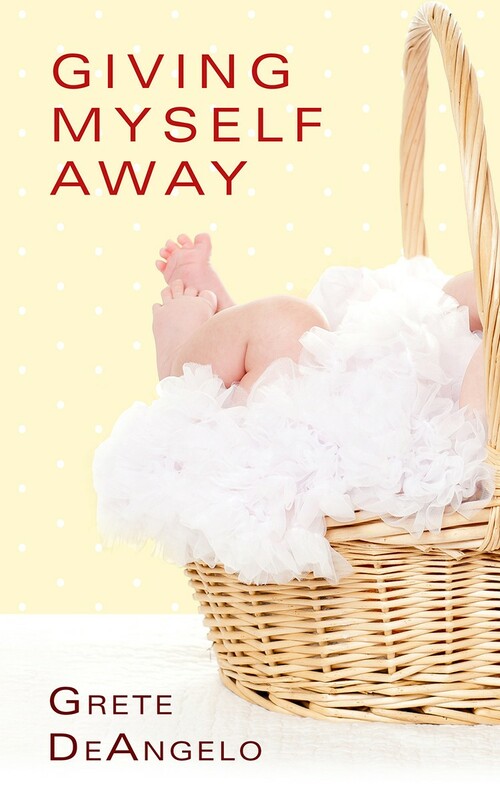 In my first novel, Giving Myself Away, my main character, Adrienne, who is already a mom, faces the heartbreaking decision of whether to give up her third baby for adoption. I incorporated some of my birth story into hers, but it was fascinating for me to explore this dilemma in writing because it’s an experience I could never imagine going through myself. At a writers’ conference this past spring, I met a woman who found herself exactly in this situation and her story was amazing. If you are willing to share, what was the moment you felt bonded to your baby? I’d love to hear it (and it might inspire a story for a future novel!). Photo: A moment of bonding with my little guy while he was in the NICU.